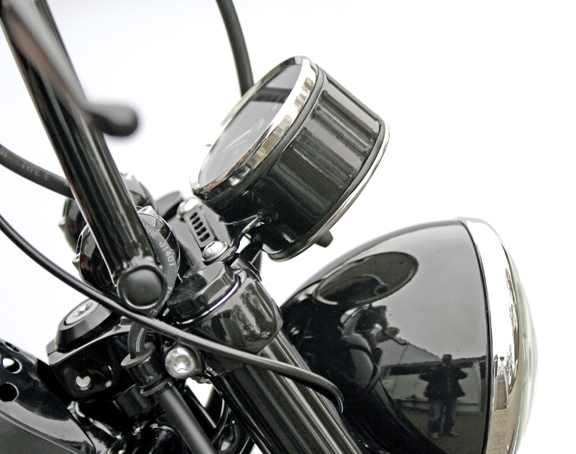 This speedo bracket allows the relocation of the OEM speedometer on the Sportster Seventy-Two model. Kit includes all necessary hardware. Black powder coated. 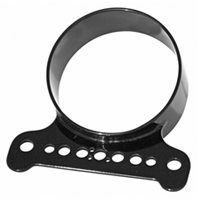 Will this fit my 2005 1200C Costom so I can redesign an move my speed do ? That big owe riser looks like crap !? 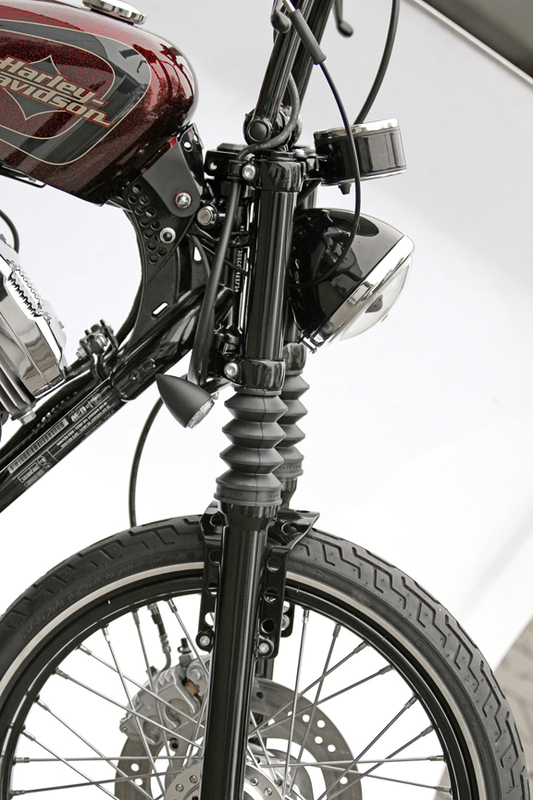 Thank you for your interest in Eurocomponents’ Sportster parts. 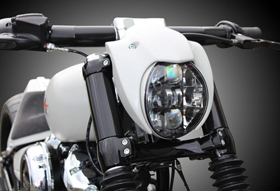 Sorry, but this can fit only Sporster 72 models..
Just wondering, what happens to the Neutral light, Oil, ABS light etc when you switch to this bracket?? 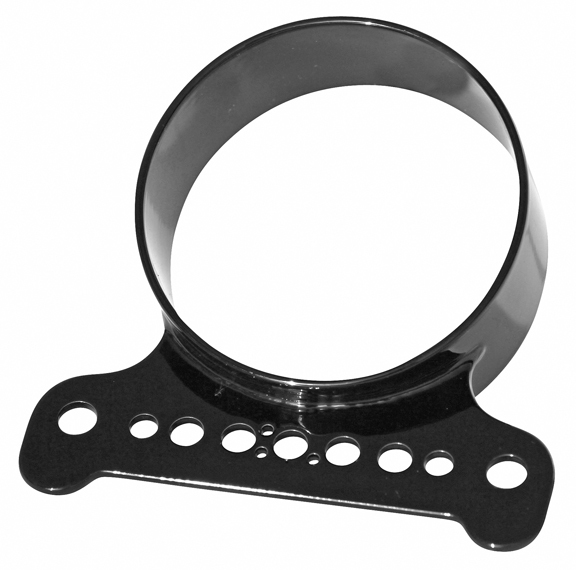 Thank you for your interest in our Speedo Bracket for Sportster 72’s. You either loose the indicator lights or relocate them somewhere else. 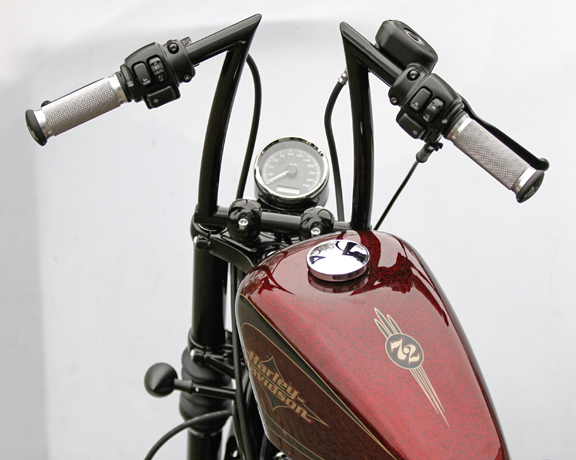 Could you interested in your speedo bracket for sportster 72 and would also like to know which handlebars they are on that red 72 in your speedo bracket picture. Thanks for the help. 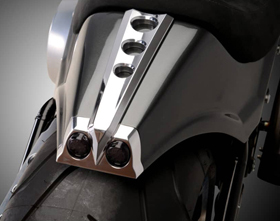 Those handlebars were custom made specifically for that custom project.